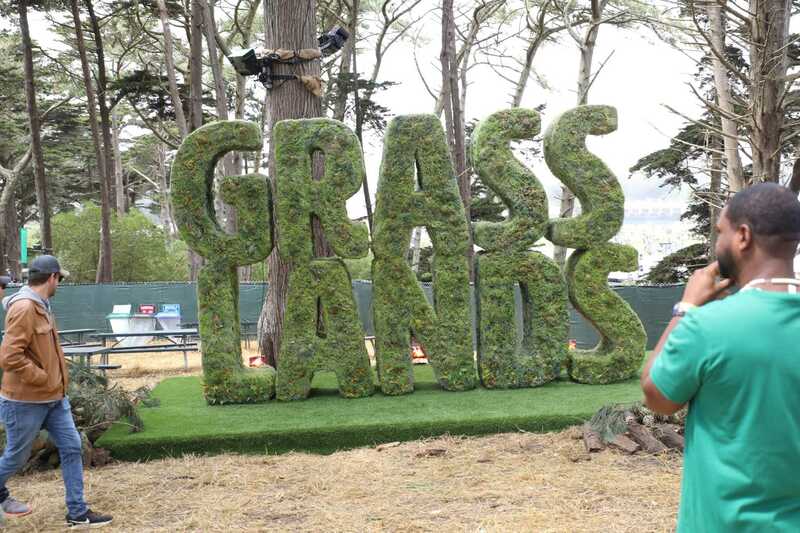 Grass Lands made its debut at the 11th annual Outside Lands Music and Arts Festival on Friday, Aug. 10, making the cannabis experience the first of its kind at a major music festival. The expansion comes in the wake of California’s legalization of recreational marijuana. Mendocino’s Flow Kana works with local marijuana farmers, who also grow other crops. The company decided to highlight the agricultural aspect of cannabis by holding a contest where visitors use knives to carve vegetables into cannabis bongs. The winner will get a free trip to Mendocino to see Flow Kana’s processing center, and unused vegetables will be donated to Glide Church, said Cate Powers, head of communications at Flow Kana.